NPR-IBM Watson Health Poll: Americans And Antibiotics : Shots - Health News The latest NPR-IBM Watson Health Poll finds that medical visits for symptoms of infections are common and that many people get an antibiotic under those circumstances. But a talk is in order first. Sniffles, sore throats and fevers seem to be all around lately. If things get bad enough for you or a loved one to seek care, what are your expectations about treatment? Do you want a prescription for an antibiotic if symptoms suggest an infection? We decided to ask Americans in the latest NPR-IBM Watson Health Poll. We found that visits for symptoms that could be from an infection were common and that most people who saw a health professional under those circumstances got a prescription for an antibiotic. In the past year, 9 in 10 people had visited a doctor, nurse or other health care provider who could prescribe medicines. About three-quarters of the time the most recent visit happened in a medical office. Nine percent of the most recent visits were to urgent care centers and 5 percent occurred at retail clinics. About 8 percent of the last visits were to an emergency room. Most of the visits — 9 in 10 overall — involved an adult patient. About 15 percent involved kids, in the group of respondents ages 35 to 64. Is It A Nasty Cold Or The Flu? OK, now that we've got that out of the way, how often did people go for care because of symptoms that might be from an infection, such as fever, coughing, an earache or sore throat? Among people under 35, it was pretty common: about 43 percent of visits. Among people 65 and older, only 10 percent of visits were for a possible infection. Now among all the people who went for a possible infection, almost 9 in 10 talked with a nurse or doctor about whether antibiotics were appropriate. Most patients — 84 percent — who went to see a health professional for symptoms that could be related to infection got a prescription for an antibiotic. 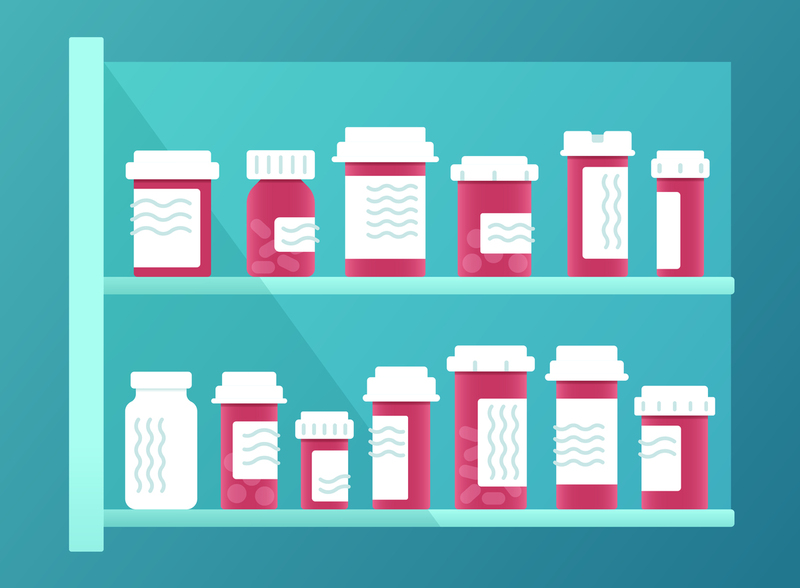 Nearly everyone who got a prescription filled it — 98 percent, the survey found. And 96 percent of those people said they took the medicine for the full course recommended, which is important for making sure an infection has been vanquished. As for the discussions of antibiotic appropriateness, Dr. Anil Jain, vice president and chief health information officer for IBM Watson Health, was disappointed by the results that about 89 percent of patients said they'd had a conversation about antibiotic appropriateness. "Despite years and years of focused attention on patient education, we still have room for improvement," he says. "We should be doing a better job. I'd like to see it consistently in the high 90s. ... More patients should have understood why they were being prescribed an antibiotic." In a brochure for patients, the Centers for Disease Control and Prevention points out that antibiotics don't work on viruses, such as those that cause colds and flu. And antibiotics are little help for some conditions that can be caused by bacteria, such as many forms of bronchitis, lots of sinus infections and some ear infections, the CDC says. When people have a sinus infection or cold, there are many options. "A lot of times what people really want is treatment, but treatment doesn't necessarily mean antibiotics," says John Cullen, a family doctor in Valdez, Alaska. Some over-the-counter remedies, such as saline rinses or fluticasone spray, can help with symptoms, he says. For coughing kids, he often recommends old-fashioned honey. Cullen, also president of the American Academy of Family Physicians, says it eases patients' minds if he can tell them about how long it will take for them to start feeling better. Patients also like to know how long they're likely to be contagious. For a cold, that's a few days, he says. For the flu, it's more like a week. If an antibiotic prescription is needed, Cullen says he makes sure to talk with patients about taking the medicine until it's used up. "The problem is that people start feeling better and they stop taking the prescriptions," he says. "Things like strep throat will come back if they don't take the full course." Occasionally, he will give a patient a back-up prescription to be used if, say, a sinus infection doesn't get better on its own. Cullen includes a start and end date on the prescription, so a patient can get the medicine without another appointment but can't hold onto the prescription indefinitely. "The convenience is an issue for people," Cullen says. The nationwide survey collected responses from 3,006 people during the first half of September. The margin of error is +/- 1.8 percentage points. You can find the full set of questions and results here.